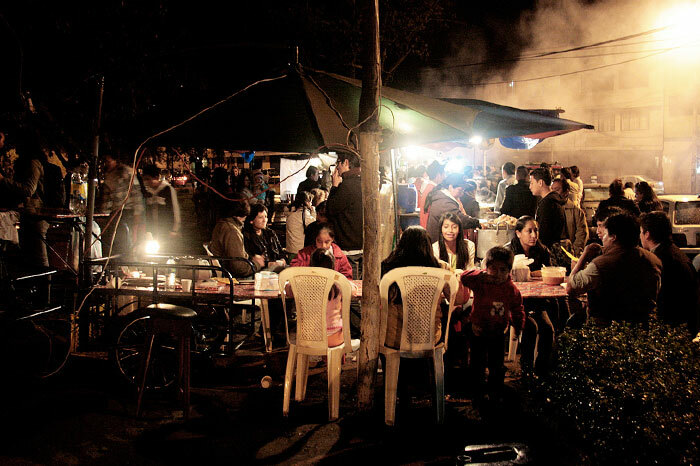 Intervention in the popular “Tripas de La Floresta”, a major informal food selling settlement in the city of Quito (Ecuador). 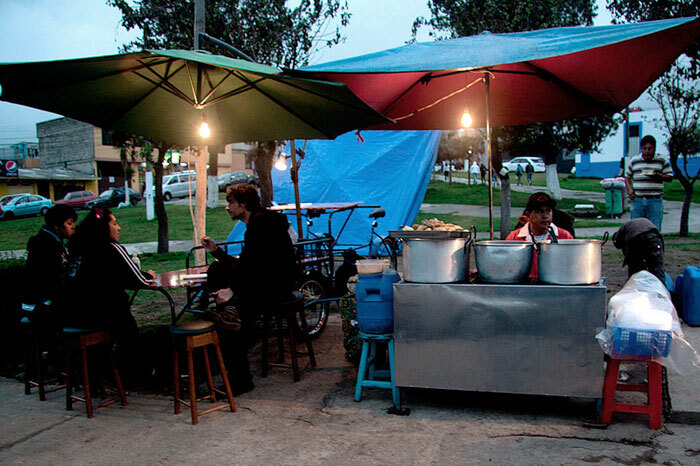 We place a small dinning table for a week in a corner of the square where there vendors are located. 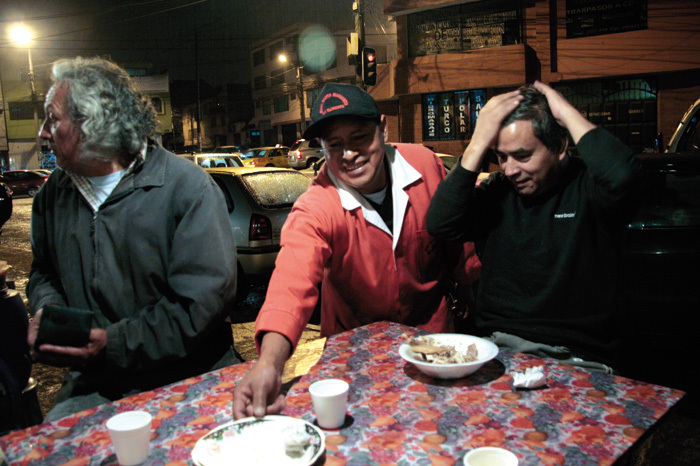 Our intention is not to sell food but to accommodate the customers and to listen to their opinions on the widespread informal sellers persecution in the whole Quito area. 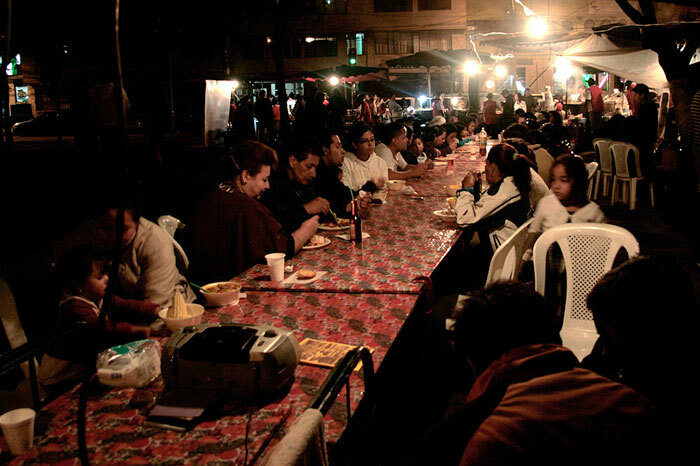 Night after night, while our presence is progressively accepted by the local sellers, the table grows and begins to acquire a centrality. On our last day, the table is already more than 12 meters long and from its central position hosts more than fifty customers from all the stalls. Once our intervention ends, the local vendors openly consider installing a table with similar characteristics, conquering by that another portion of the public space that surrounds them.